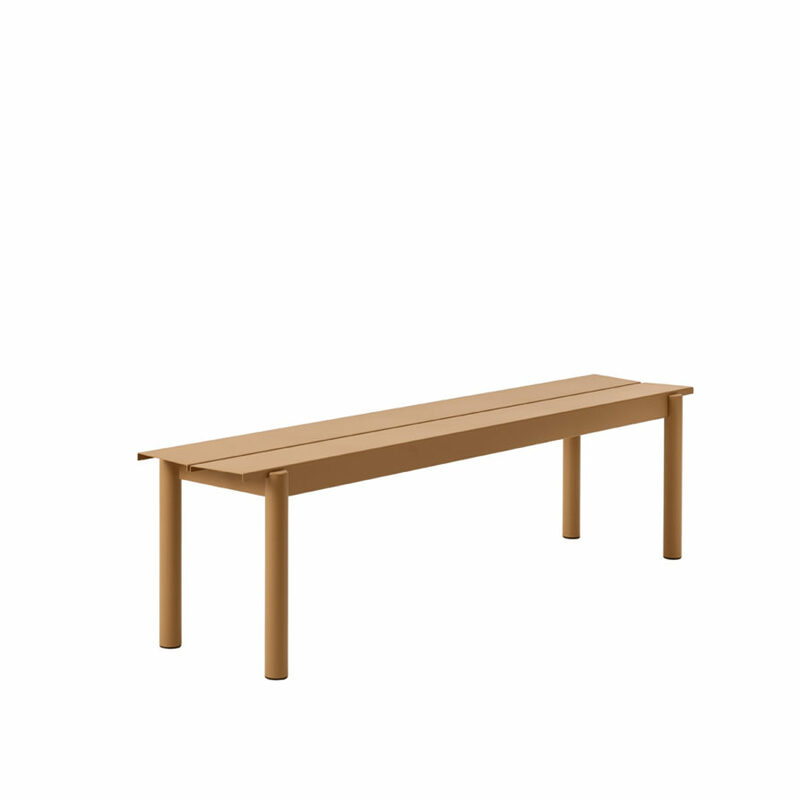 Linear Steel Bench designed by Muuto. Powder Coated Outdoor Furniture. 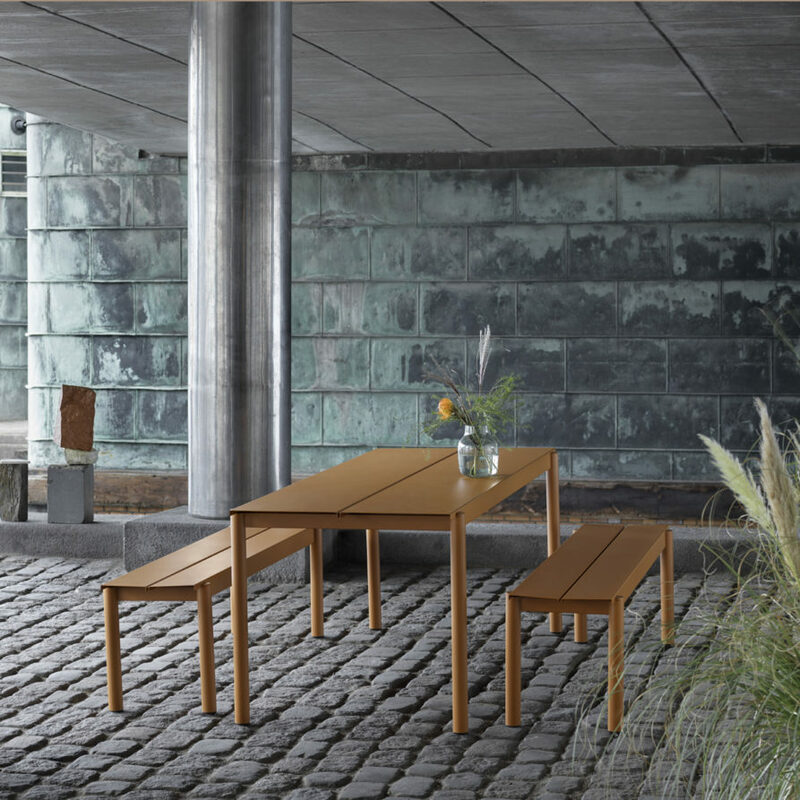 The Linear Steel Bench brings new perspectives to modern outdoor furniture through its straight lines alongside the folded edges, halfcircular intersecting legs and small spacing for easy removal of water. 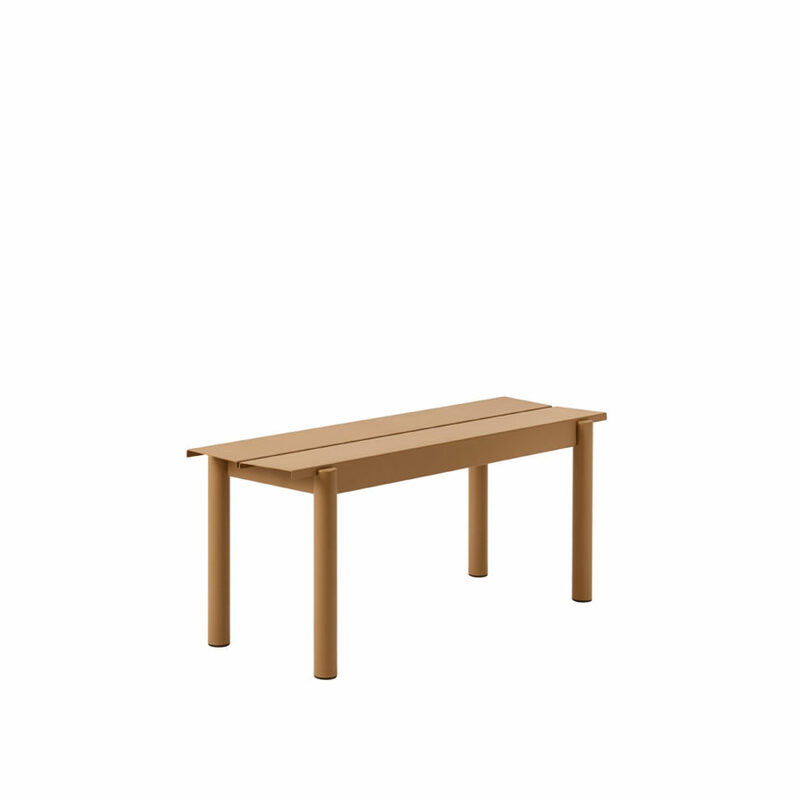 Kept visually clean for long-lasting aesthetics, the Linear Steel Bench finds it distinct character through subtle detailing and a simple expression, allowing for it to complement any outdoor setting. 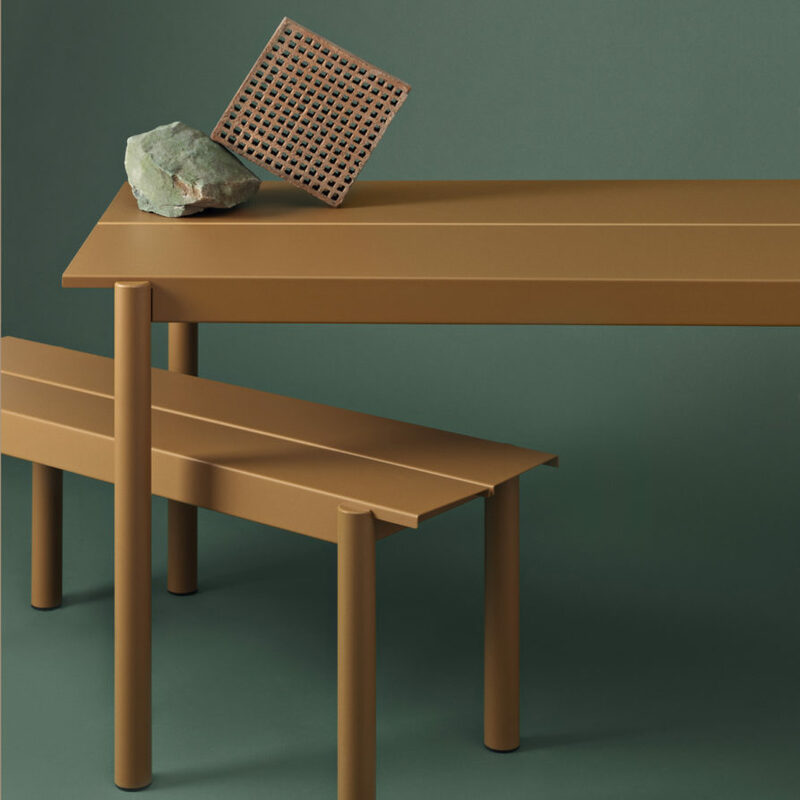 The design is made in powder coated steel for a matte look and contemporary feel. 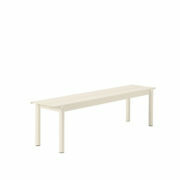 Bench is designed in proportions that will slide easily under the table. 12-16 week back order lead time. 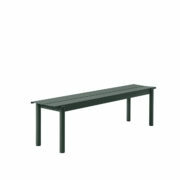 Welded steel with a weather-resistant deep matt powder coated finish. Seat is hot-dip galvanized while legs are aluzinc treated, making them suitable for outdoor use. Legs come with plastic glides. Clean bench with a damp cloth. If necessary use a mild detergent or washing up liquid and not concentrated.